Habitat for Humanity NYC — ServiceCorps | Leadership For Good. Mission: Habitat for Humanity New York City transforms lives and communities by building quality, affordable homes with families in need, and by uniting New Yorkers around the cause of affordable housing. 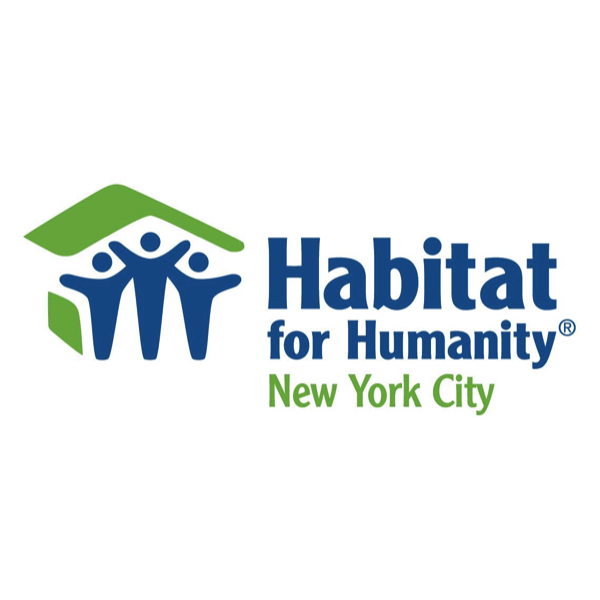 About: Founded in 1984 as an independent affiliate of Habitat for Humanity International, Habitat NYC builds in the five boroughs of New York City, building homes for ownership by families and individuals in need. We build the homes with the "sweat equity" of our family partner homeowners who work side-by-side with volunteers. Professional contractors build the exterior shells to code, and the volunteers do the interior construction. Each year thousands of New Yorkers from faith institutions, corporations, schools and civic groups come to build with us and learn more about how to help solve New York's affordable housing crisis. In addition to building homes, Habitat NYC is a leading advocate for affordable housing. Our goal is to ensure that every New Yorker has a decent, affordable home, by creating a social movement to end the housing crisis plaguing New York City and by calling on elected officials to make affordable housing a priority. With the help of thousands of volunteers every year, Habitat NYC has served more than 465 families in the five boroughs of New York City through home construction & repairs. Habitat NYC's first project in New York City began with President and Mrs. Jimmy Carter's visit and build in the Lower East Side.